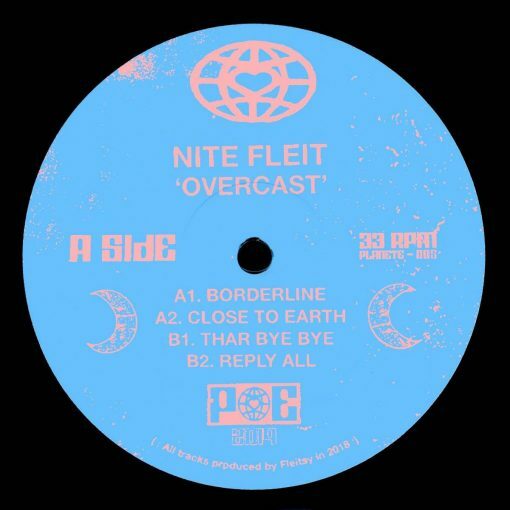 For its fifth release Planet Euphorique puts forward Australian-born, London-based Nite Fleit’s latest release, Overcast. Her second record, Overcast is a teeth-baring soundscape guided by commanding, rhythmic spells. The record’s acidic slaps and punishing bass lines are uncompromising, recalling her darkly transcendental DJ sets. Overcast’s masterful doom is punctuated with enigmatic sparks throughout-the light beckoning listeners into the darkness and onto the dance floor. More items from " Nite Fleit "